These tips are rare and unique. 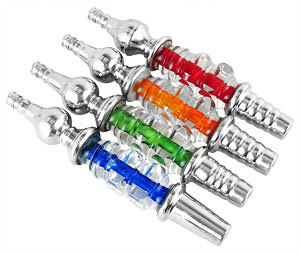 Separate yourself from the rest of the pack by customizing your hookah with a colored and stainless steel mouth tip. The jeweled plastic center is tapered to have a better feel and grip. Hasan Mouth Pieces has a average rating of 0 stars out of 5 stars based on 0 reviews.